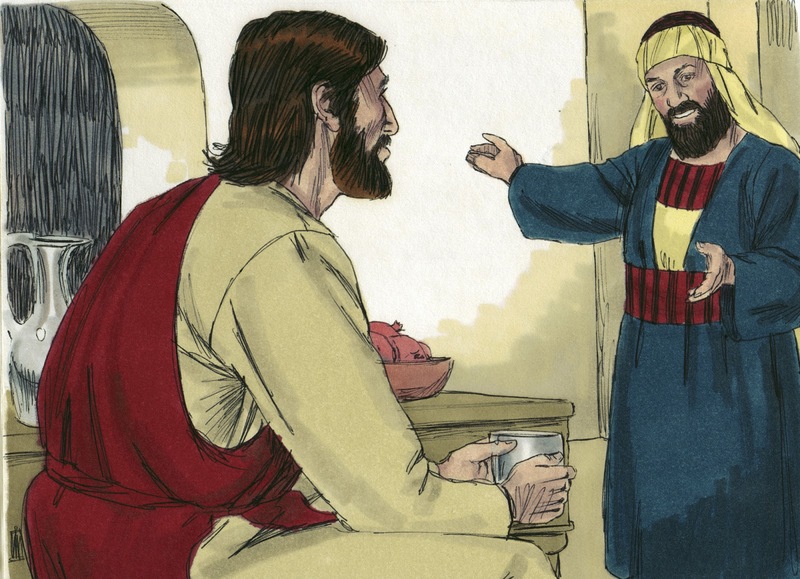 People didn't like tax collectors, but Jesus went to his home anyway. 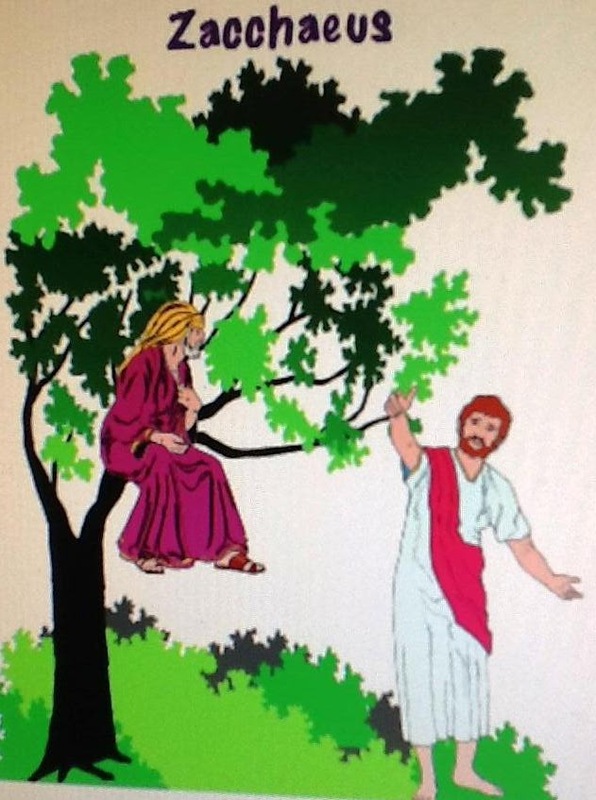 Background: Today we’re learning about Zacchaeus. He was a tax collector. 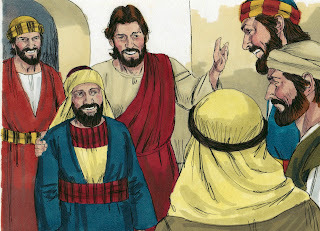 In Jesus’ day, men worked for the Roman government in a specific area collecting money for taxes from the people. The tax collectors were protected by the soldiers. There were different kinds of taxes the people had to pay. The tax collectors were responsible for collecting land tax, a census tax and a tax for temple operations. Most people didn’t like the tax collectors. A lot of times, people even refused their change because they didn't even want to touch the money after the tax collector had touched it! A lot of the tax collectors were getting rich by charging over the tax amount and keeping the extra they collected. There wasn't anything the people could do to stop their cheating. Matthew, a Disciple of Jesus was also a tax collector. 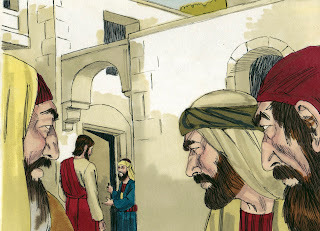 Now, think about this… A Disciple was a tax collector and here’s Zacchaeus who is a tax collector. 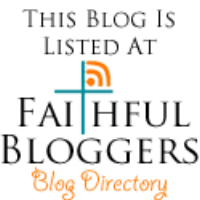 Jesus is associating with them and most people do not like them because of their jobs. Jesus wants everyone to stop sinning and go to heaven. 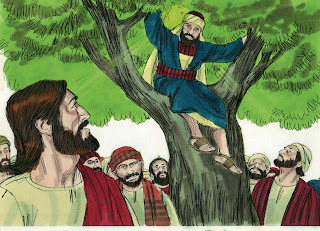 Zacchaeus is found in Luke 19:1-10. 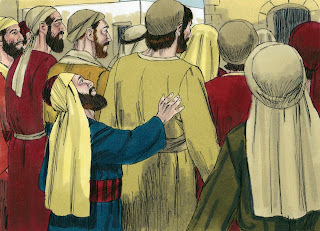 Lesson: Today, Jesus is in Jericho. There was a man named Zacchaeus and he was a chief tax collector. He was rich. 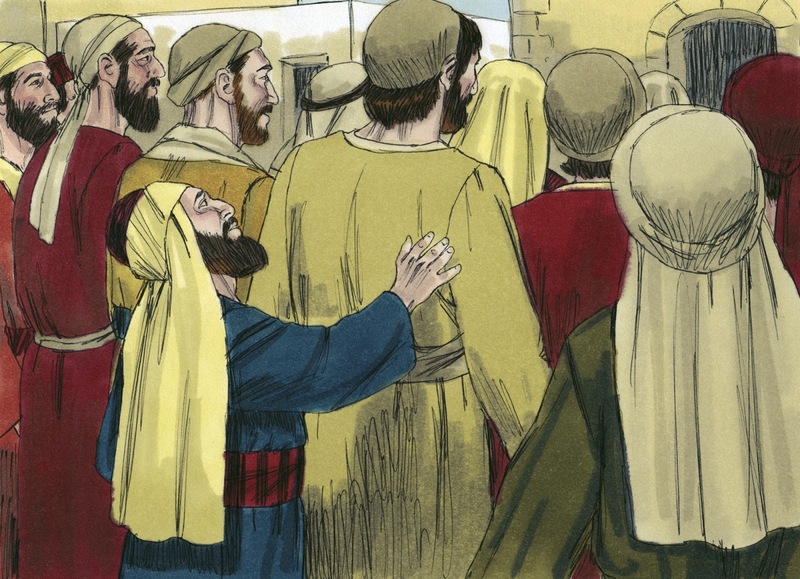 He was trying to see Jesus, but there was a crowd and he was a short man. 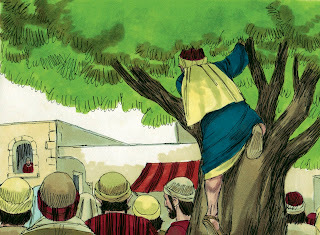 Zacchaeus ran ahead of the crowd and climbed up into a Sycamore tree. He knew that Jesus would pass by the tree. Zacchaeus hurried down the tree and was happy to see Jesus. When the crowd saw this, they complained and said that Jesus was going to a sinners house. Zacchaeus said, Lord, I will give half of my goods to the poor, and if I have taken anything from anyone by cheating them, I will give it back to them 4 times what I took. Click here to download the visuals for Zacchaeus. 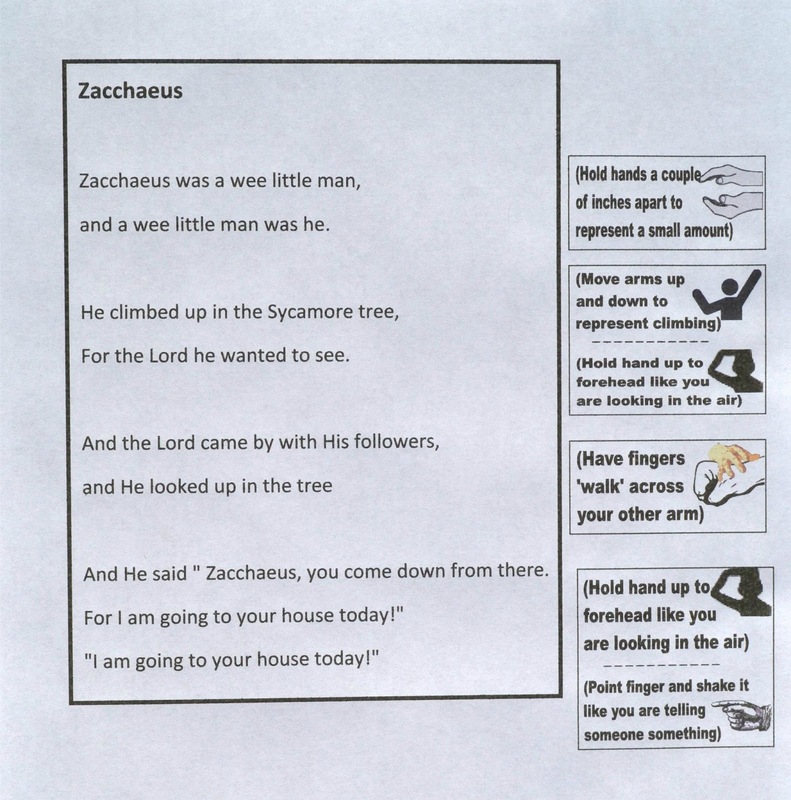 Here is the Zacchaeus song with movements. 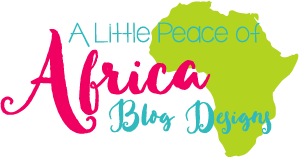 I sang this song when I was a kid, and now my granddaughters love it! I am assuming it is not a copyrighted song, since it is so old and there are probably different versions on the Internet. But, if you don't know it, I added the movements with the song. But, they can be cut off if you don't need them. 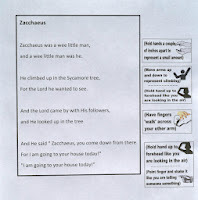 Click here to download the worksheet for Zacchaeus. 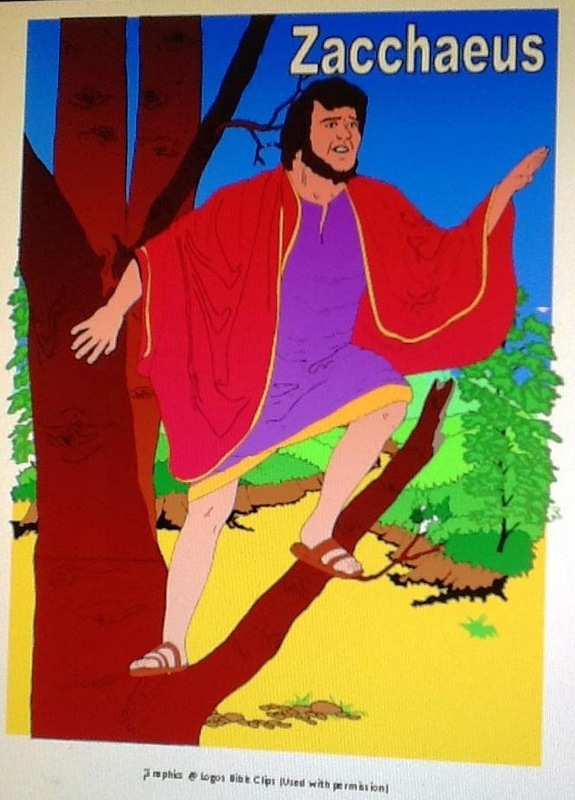 Click here for the Bible verse for Zacchaeus. this is black & white to make it easier to read the scripture and cheaper to print. This can be printed on color paper. After looking up the scripture, my students glue these into a small notebook. This is available in color or black and white to use as a picture to color. You can print them here. 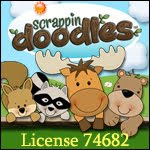 This is the lapbook worksheet. Also, it can be used as a take-home Cut & Glue paper. 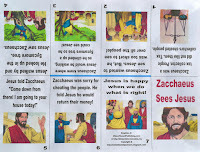 The students will cut out Jesus and Zacchaeus and glue them to the worksheet. You can print it here. Thank you for sharing your ideas! These will great for my Bible Class tomorrow night!